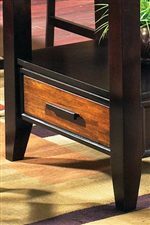 A great way to bring a hot look into a small area, with this 42" drop leaf leg table. 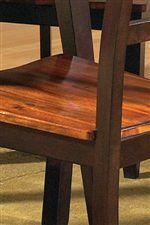 Featuring a solid acacia wood top that screams with character, then contrasted with dark brown legs to further accentuate the top. Seat four with the leaves up or drop them down and seat two for those smaller spaces. 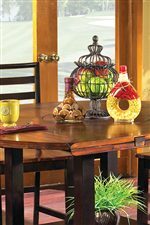 A great table for a kitchen, porch, cabin, ranch or trailer. 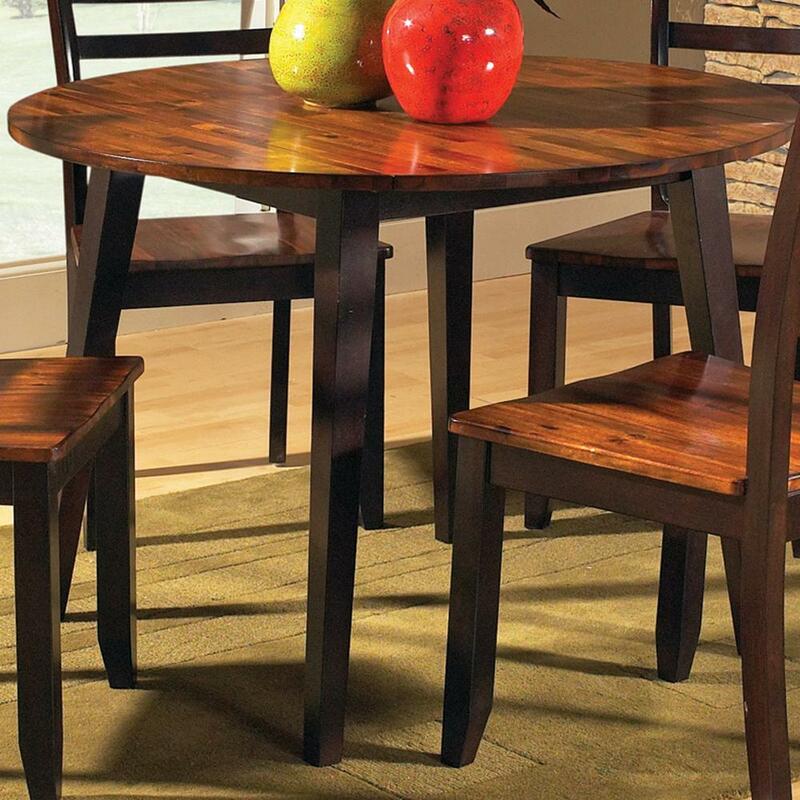 The Abaco Solid Acacia Top 42" Round Drop Leaf Leg Table by Star at EFO Furniture Outlet in the Dunmore, Scranton, Wilkes-Barre, NEPA, Bloomsburg, Pennsylvania area. Product availability may vary. Contact us for the most current availability on this product. Leaves Two 7" drop leaves extend table from 28" rectangle to 42" circle.